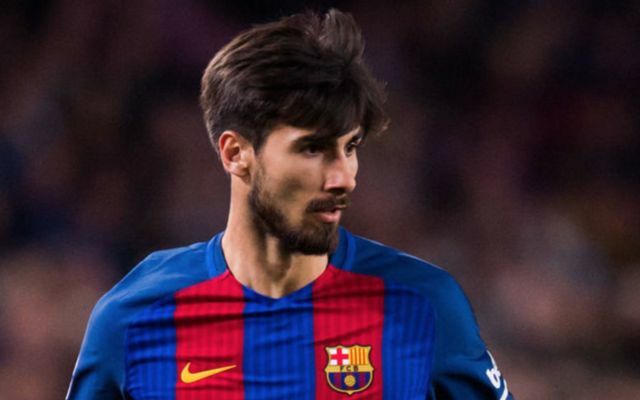 Spurs and West Ham are set to be involved in a head-to-head battle in the race to secure the signing of out-of-favour Barcelona flop Andre Gomes, according to the Mirror. West Ham have been reported to have made an audacious loan bid for Gomes after the Hammers grew tired of their pursuit of Sporting Lisbon star William Carvalho, as per the Mirror, with Spurs boss Mauricio Pochettino also keen on signing the player who joined Barcelona for £29.2M from Valencia last summer according to EuroSport. Spurs manager Pochettino is eager to bolster his squad before tonight’s 11pm transfer deadline, as the north London side prepare to return to the Champions League as reported by the Mirror, where both Real Madrid and Borussia Dortmund await the Lilywhites. Barcelona are after a hefty loan fee for Gomes report the Mirror, however the Spanish side are willing to sanction his temporary departure ahead of today’s transfer deadline. Should Spurs prevail in their pursuit of Barca flop Gomes, it’ll be interesting to see what kind of role the midfielder takes up for Pochettino’s side for the remainder of this season.